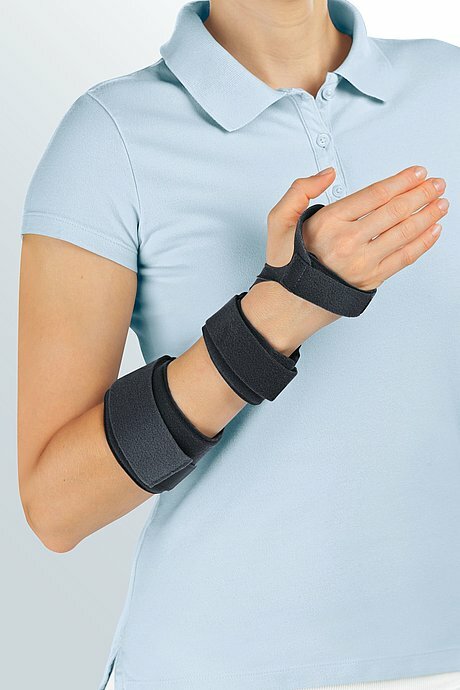 Manumed tri is a wrist brace for immobilisation. The product is exclusively to be used for the orthotic fitting of the wrist and only on unbroken skin. The wrist is immobilised in six planes of movement, restricting supination and pronation (rotation of the lower arm). The splint is slightly premoulded to give an anatomical shape. Your orthotist will adapt it to the precise shape of your hand. The lateral guides on the lower arm, the wrists and the ball of the thumb are now bent so that they fit closely. Slip your lower arm into the support. The Manumed tri can only support successful treatment if it is consistently worn. Hook and loop fasteners should be closed for washing. Soap residues, lotions and ointments can cause skin irritation and material wear. 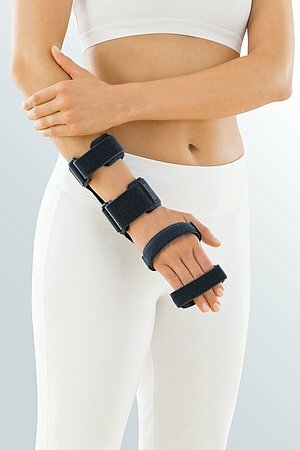 How to use our Manumed tri wrist braces. Date of issue: until April 2017. How to use our Manumed tri wrist supports. Date of issue: until August 2018. How to use our Manumed tri wrist supports. Date of issue: from August 2018.